If you’re unsure whether you have termites in your Rancho Palos Verdes, California, home, there are a few signs you can look out for. For example, piles of insect wings, pinholes in your walls, creaking floors, and stuck windows all indicate a termite infestation. However, the only way you can know for sure is by having an experienced pest control team thoroughly inspect your home. At Kilter Termite and Pest Control, we make this as easy as possible by providing free termite inspections. We’ll provide you with an honest and accurate assessment of your home and then develop a custom treatment plan. There are numerous benefits to choosing us to treat your home. Instead of tenting your house, as most other companies would, we’ll use the KILGUARD system. Proven effective at eliminating both drywood and subterranean termites, our system is far more convenient than fumigation. This is because KILGUARD is targeted and doesn’t require the use of fumes, which means homeowners can stay home while treatment takes place. 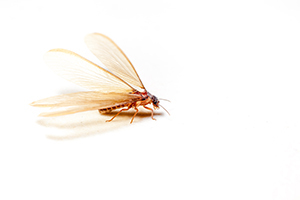 Once we’ve completed our termite control services, we’ll provide you with a two-year warranty. If you’d like more information about our termite control services or you’d like to schedule a free termite inspection at your home in Rancho Palos Verdes, CA, contact us today. When you do, also ask about our termite repair services to restore areas of your home that have been damaged.